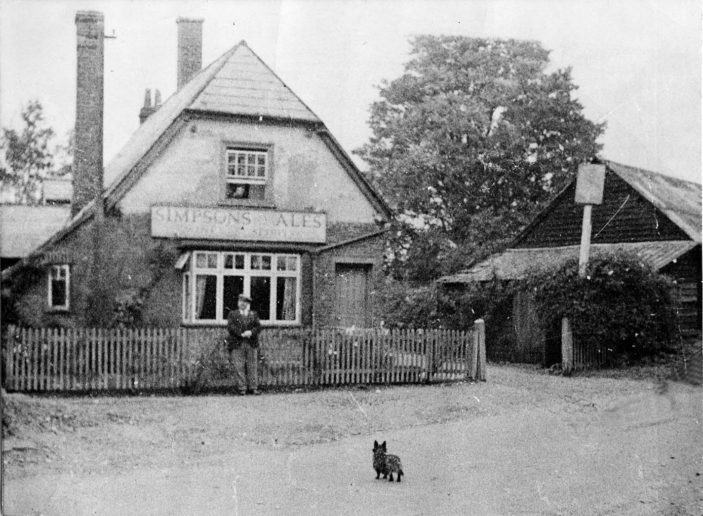 Great picture of Alf Lake and pub. He was a superb organiser into every thing . Air raid warden councillor person down the well on the green rescuer church warden and so on. I still have programme of events and dinner for all ex service people of the village ,of which there were quite a lot in the village school at end of hostilities. Does anyone remember the “off licence” window on the side? Too young to go in it was knock and wait and wait…..
Hi guys I worked here in 1973/4 while being in 6th form at Heathcote. Was 18 though. Joe and May were great characters! Hi Ian Payne, me too my friends linda and richard, val and joe, tony pagden, we all went there, it was lovely, not now though yuk! What a shame. I worked there at weekends at about the same time as Sue Wilkins, when the pub was run by Joe and May Grundy. My memories include my friends Richard and Linda Loten when they were courting, Dave Dowse winding me up, “Harry” (never knew his surname) rushing in five minutes before closing time, all out of breath and downing three or four pints before last orders, and rabbit pie for the bar staff after we had cleaned down - made by May from rabbits shot by Joe earlier in the day. I used to work here as a barmaid from 1972 to 73, great pub! I remember this well, well nice pub.